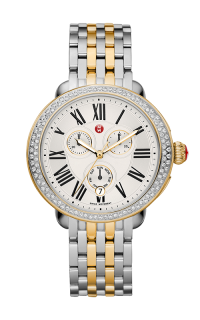 One hundred glittering diamonds encircle the elegant Serein Diamond Gold timepiece. Roman numerals and the signature MICHELE logo grace the silver tone chronograph dial. 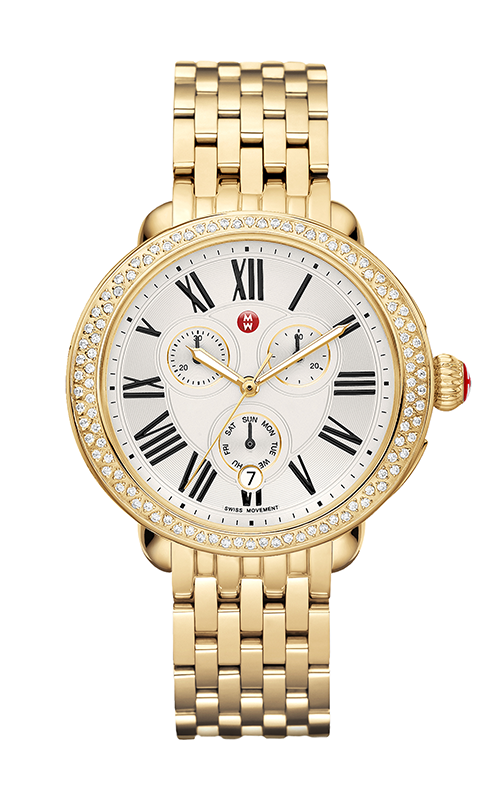 The gold plated stainless steel bracelet is interchangeable with any 18mm MICHELE strap.